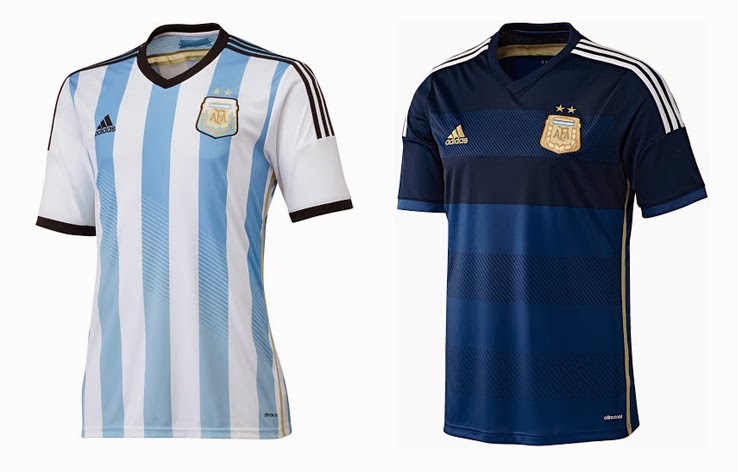 With their infamous sky-blue stripes on the home kit and the dark blue tones on the away, it proves pretty difficult for Adidas to ever go wrong with their design job for Argentina's national squad. This year is no different, and the giant sports manufacturer gets it right again. The home shirt concept sticks to the classic Argentine look, and the black collar, Adidas mark on the chest and three stripes across the shoulders make the kit look well balanced. The away number is solid as well, with the gold trimming on the dark blue really creating a nice balance. 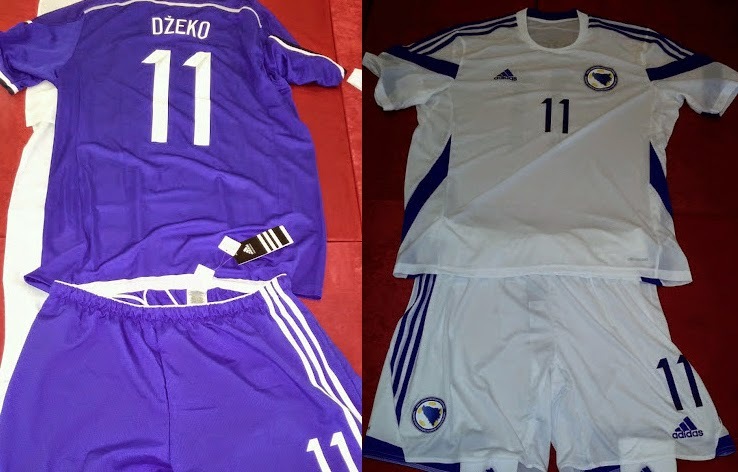 Not sure whether it was the short time period in which Adidas had to create the Bosnian outfits, or just the lack of imagination from the company's creative heads, but the Balkan nation will surely not impress with their kits in their first ever World Cup appearance. As templated as they come, this creation lacks any kind of concept or creative spark. Maybe the Bosnian FA should have stuck with Italian manufacturer Legea for this tournament. 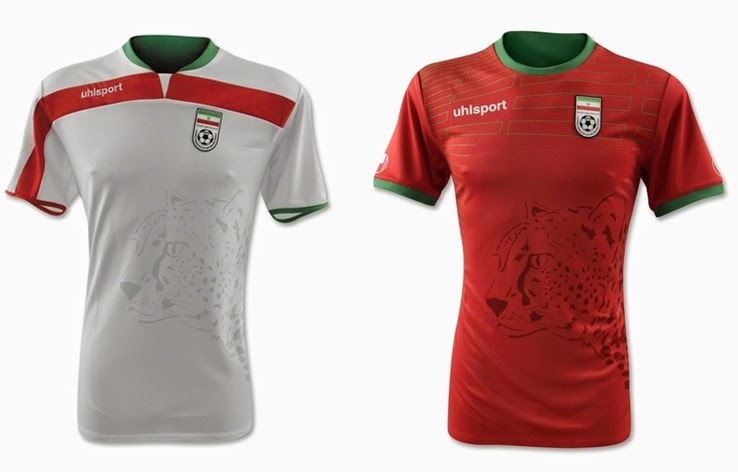 German manufacturer Uhlsport did manage to provide the Iranians with a decent look for this summer's tournament. The different colors on the sleeves of the home shirt and the well designed detail on the upper portion of the away jersey, shows that unlike the other "smaller" companies (and some of the larger manufacturers as well), Uhlsport designers do care about the intricacies of football kit design. Perhaps without the unnecessary leopard on the stomachs of the player, this design would get an even higher grade, but the animal doesn't just ruin the balance of the design, it is also not the best attempt at a silhouette design seen previously on the shirts of various national team kits. 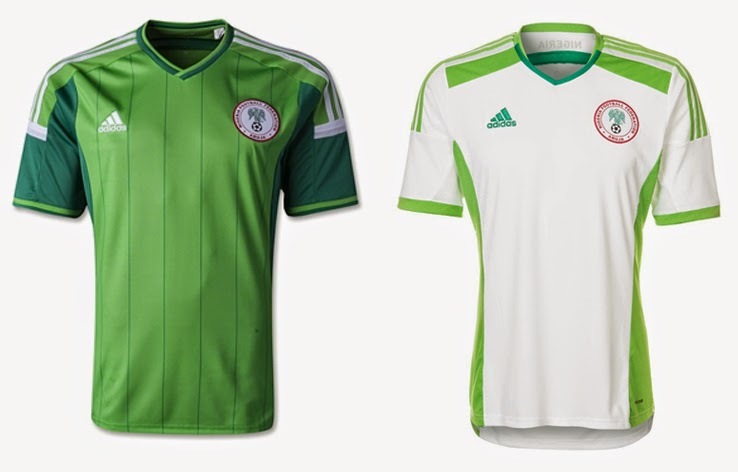 With Nigeria's kit, Adidas shows once more that the large sports manufacturer cares to put more effort in the designs of some national squads than others. This kit, while not as boring as that of the Bosnian team, is still based on a lazy attempt to change around a widely used template. The home shirt is not all that bad, with some detail and color combinations present in the design. The away jersey however, is just plain awful. The lime-green is also not a very good fit for the Nigerian squad, who's main color is a forest-green with a white (and sometimes red) trim.